Lacouir D. Yancey is a Wisconsin Licensed massage therapist and is nationally certified through NCBTMB. In addition, he is an ACE certified personal trainer, certified natural trainer, and urban dance and movement specialist. He has been an instructor at the East West Healing Arts Institute since 2005, teaching acupressure point Location and sports massage intergration. 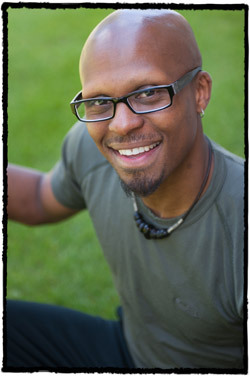 Lacouir is a graduate of East West Healing Arts Institute. As the owner of his own practice and clinic since 2004, he has partnered with Acupuncturists, Chiropractors, PT’s and Athletic Trainers to provide Chinese Medical Massage and Sports Massage to a variety of individuals ranging from medical professionals to athletes. LaCouir has worked with tri-athletes, soccer and hockey players, swimmers, and dancers since 2002 providing Tuina Sports Massage and he continues to volunteer many hours of community service at local sporting, school and charity events. He is a skilled practitioner that utilizes a multidisciplinary treatment program. Lacouir’s background includes certification and training in Chinese Medical Massage (Tuina), Acupressure, Deep tissue, Orthopedic, and Sports massage. He also has training in Natural Exercise utilizing bodyweight, resistance bands, medicine balls, martial arts, gymnastics and urban dance. His specialties are working with individuals suffering from: Carpal Tunnel Syndrome, Frozen Shoulder, Fibromyalgia, Low back and neck pain, Post-Surgery and Injury Recovery, and Sports Related Injuries. Lacouir combines Bodywork, Natural Exercise, Diet and Nutrition to help assist clients experience a stress and pain free life.